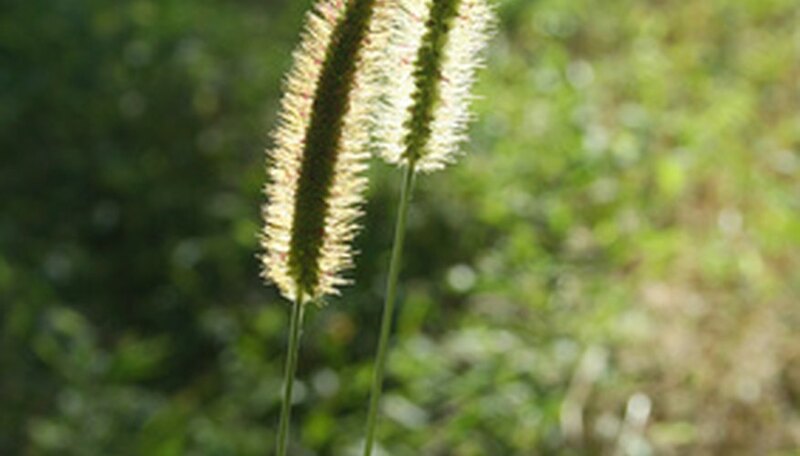 Common lawn weeds in north Texas include both grassy and broadleaf weed species. Weeds invade lawn environments that have unhealthy, sparsely growing lawn grass. Lawn weeds are highly adaptable to a variety of adverse environmental conditions including infertile, poorly drained and shady lawn areas. Early identification and removal of lawn weeds will prevent immediate spreading. However, long-term weed prevention requires improving the environmental conditions suitable for a dense, green turfgrass. Bermuda grass (Cynoden dactylon) is a perennial, creeping, grassy lawn weed that spreads quickly with stolons and rhizomes. This grassy weed is a common turfgrass in southern regions, but an unwanted pest in north Texas, often overtaking more desirable turfgrasses. Bristly Mallow (Modiola caroliniana) is a perennial, broadleaf weed with light green, shiny leaves growing outward from a central stem. This weed commonly invades recently disturbed soil environments and quickly spreads by seeds and stolons. Goose grass (Eleusine indica) is an upright, clumping, annual grassy weed that has green leaves that turn white and sliver towards the base. Goose grass thrives in hot summer temperatures, easily out-competing the indigenous and desired turfgrasses in north Texas. Common Mullein (Verbascum thapsus) is an upright, biannual, broadleaf lawn weed with large light green, hairy leaves. Common Mullein is easily preventable by regular mowing to a height of 2 to 3 inches. Left alone, this weed can grow quickly, 3 to 6 feet in height.